Other hit pieces strained for effect. For example, a story Telegraph — a paper that, more than any other, has been out for Corbyn’s blood — referred to claims that n had a consensual relationship with Diane Abbot in the 1970s as `damaging’. Janet Daley of the Telegraph cited a horror story from Haringey in the seventies in which Jeremy Corbyn, as a local councillor, may or may not have been indifferent to the squatters residing in a house next to hers. Anne Perkins of the Guardian, with a tone so stiff as to be almost beyond satire, complained that Corbyn would not sang the national anthem at a commemoration service: ‘it was his job to sing’. The Sun published a false story alleging that Jeremy Corbyn was a ‘hypocrite’ since, as a republican, he was willing to bend his knee and kiss the Queen’s hand in order to secure state funds for Labour. This was complemented by another Sun ‘scoop’, claiming, again falsely, that Corbyn ‘refused to bow’ to the Queen, in apparently trivial defiance of protocol. 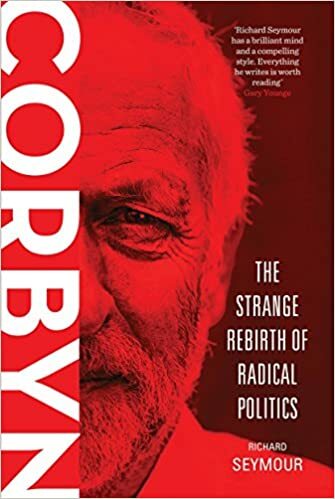 Such contradictory characterisations suggested something of an internal conflict in the smear department: was Corbyn an inflexibly, excessively principled left-winger, or a conniving opportunist? This dreary sequence of contrived stories reached absurdity with the media’s extraordinary attention to Corbyn’s precise comportment in the laying of a wreath at the Cenotaph [war monument], with piece after piece suggesting that his solemn nod of the head was not quite solemn enough.